Using named day delivery: Order this product within 5 hrs and 3 mins for guaranteed Thursday delivery. 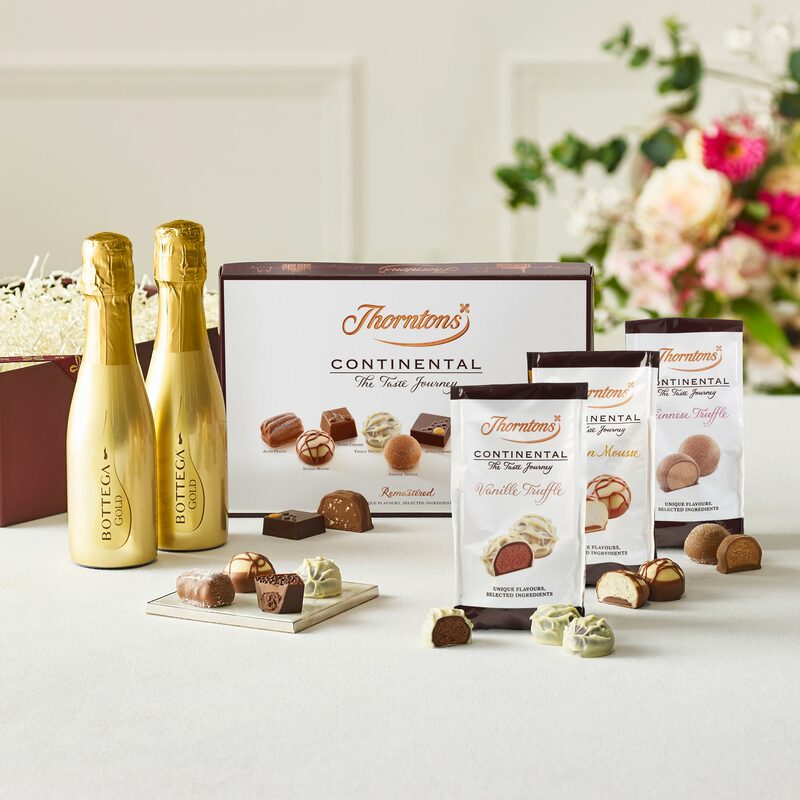 Nothing goes better with chocolate than a glass of delicious bubbly, which is why our Prosecco Giftset makes a perfect celebratory gift. Your special someone will feel truly spoilt with this glamorous gold bottle of premium Bottega Prosecco. 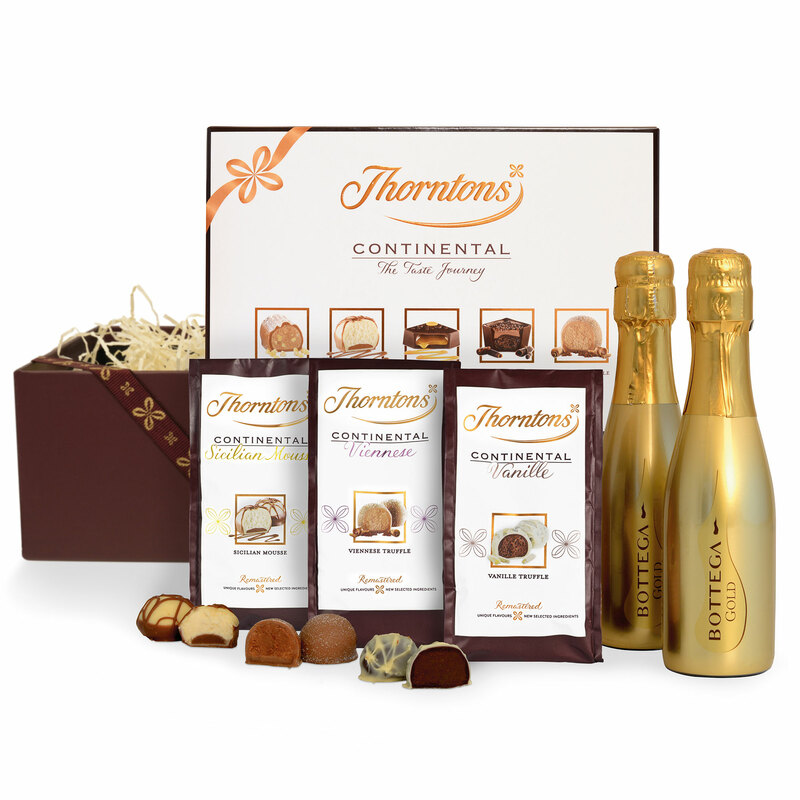 This sparkling treat is sure to make someone's day - or mark the start of a great night in….